Cool! What does the CQL Mean for Marketers? Marketing and Sales teams using Drift needed a way to show the value they are seeing with Drift and the usual way to measure the leads coming in through the chat on your site doesn't cut it. There are leads that your sales team is missing because they fall outside the normal MQL, SQL, and PQL buckets you’re using today. The classic marketing metrics that exist today don't take into account those visitors who come to your site and immediately want to buy your product, and the ability to measure this metric is missing. This qualification can be applied manually or automatically by a Bot! 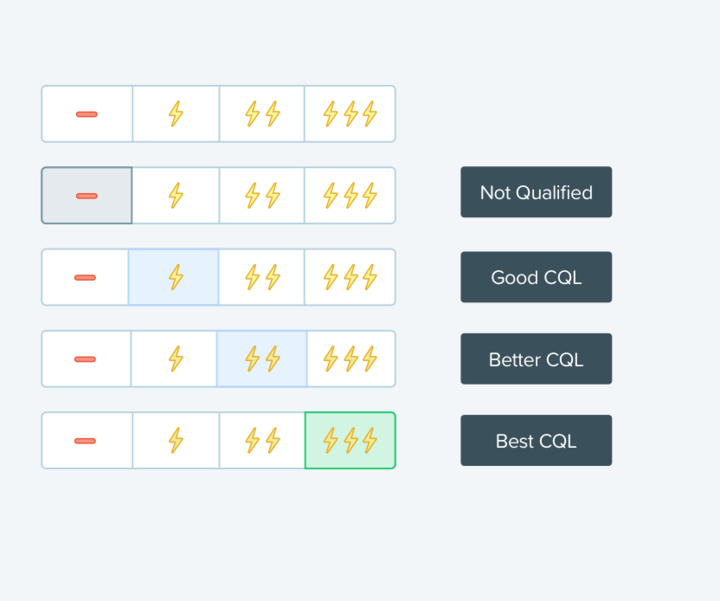 Qualify and Measure CQLs inside the Drift app! Decide how many bolts a site visitor should be assigned, so your sales team can prioritize who to reach out to and when! 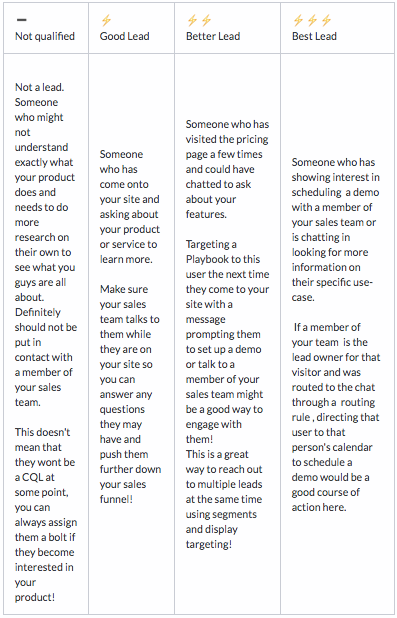 This scale shows up directly in your conversations view and can be manually adjusted before, during, and after a conversation and can be added to a user profile via a bot or a member of your sales team. Where will I see my CQL Stats in the Drift App? We want to make your CQL stats front and center in the app you can be sure that the right people are talking to the right leads. You will see your number of CQLs in your dashboard, Playbook Reports, and in the Conversation View! How Do I Decide How Many Bolts a Lead Gets? Qualifying your leads can be a really subjective process that differs based on person to person. To help you out, we put together some guidelines for you to follow so you can keep a scale on how many bolts to apply to each lead!